It is not too early to mark your calendar for this special event! Add directly to your calendar by clicking on the calendar icon located next to the event listing on the main calendar. When prompted, click OPEN. Sinclair's chorales and ensembles will lead area choruses in a one-time performance of the Handel's Messiah on Sunday, November 23 at 7:00 p.m. 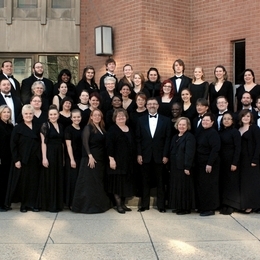 The concert, sponsored by the Sinclair Community College Music Department, will take place at the Shiloh Church, UCC, 5300 Philadelphia Dr., Dayton, OH 45415 (N. Main & Philadelphia). In lieu of admission, the public is invited to bring a non-perishable food item. Parking is free. The concert will feature the Sinclair Chorale, Chamber Choir, Women's Ensemble, Lutheran Church of Our Savior Chancel Choir (Oakwood/G. Minnemen), Shiloh Church Sanctuary Choir (Northmont/M. Barnhill), Sugar Creek Presbyterian Church Chancel Choir (Fairmont/ N. Long), and orchestra members of the Dayton Philharmonic Orchestra. Nolan Long, SCC Professor of Choral/Vocal Music, will conduct the performance. For additional information, please contact the Sinclair Music Department at 937-512-4580 or Nolan Long at 937-512-4057 or nolan.long@sinclair.edu.